not saved by the fact that isolating DNA from the human genome severs the chemical bonds that bind gene molecules together. The claims are not expressed in terms of chemical composition, nor do they rely on the chemical changes resulting from the isolation of a particular DNA section. Instead, they focus on the genetic information encoded in the BRCA1 and BRCA2 genes. Myriad found the location of the BRCA1 andBRCA2 genes, but that discovery, by itself, does not render the BRCA genes “new . . . composition[s] of matter,” §101, that are patent eligible. 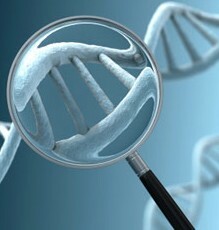 unquestionably creates something new whence DNA is made. cDNA retains the naturally occurring exons of DNA, but it is distinct from the DNA from which it was derived. As a result, cDNA is not a “product of nature” and is patent eligible under §101, except insofar as very short series of DNA. To be a pedant: in the paragraph immediately following the second quote and also in the final paragraph, the phrases “genetic sequence” and “genetic code” are technically incorrect and should really be “DNA sequence”.